Ok not my most glamorous outfit post ever but oh my god it has to be the most comfy and fun outfit post ever everrr! Splashing about in puddles, in the rain, not a care in the world. It was marvellous. Normally, if we’re doing photos and it rains a become a right nancy and winge about ma hair or my poor beautiful suede shoes getting wet. Not today! Nope. I had the most fun in my wellies and the best raincoat that has ever been made. Yep thats right. Big words, but its a big coat that stands up to that statement. You guys may have heard me banging on about Seasalt Cornwall for the past 3 years now. Those guys know how to make raincoats. Tested on the Cornish cliff tops and made of specially designed Waterproof Melange that insures that no amount of rain is getting inside. ‘Cos when you live in Wales.. that is an actual high priority in life. I have my yellow one, which over the past 3 years has done me so well, and has more years left in it, but this time around, i was after a longer style and a different colour that wasn’t soooo yellow. 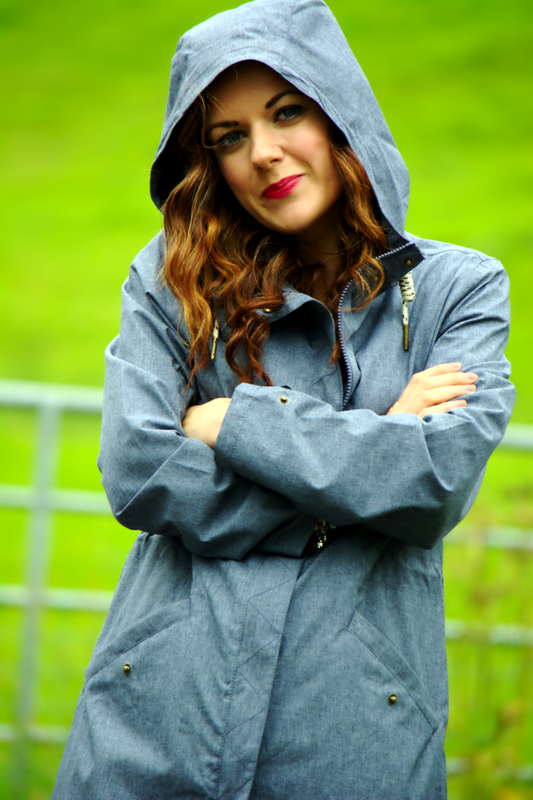 So the Hellsweather Mac is my new weapon of choice against the good ol’ unpredictable British Weather. And let me tell you ladies, it totally makes rainy days so much better!! I could not be more pleased with mine and i know you would love it too! 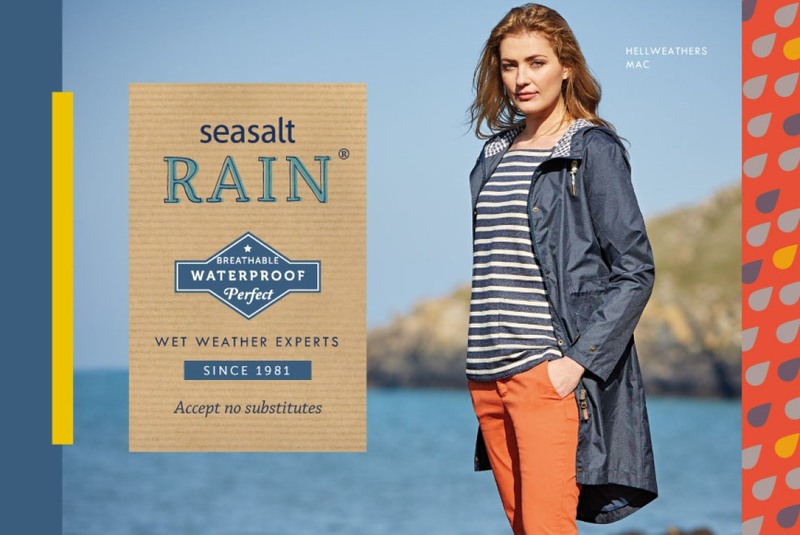 Be sure to enter below to win yourself the best rain coat ever from Seasalt Cornwall. Prize is subject to availability. If, due to circumstances beyond their control, Seasalt is unable to provide the stated prize, they reserve the right to award a substitute prize of equal or greater value. Open to UK only, but if you have a forwarder or family in the UK please feel free to submit. But we can only post to UK addresses. I am definitely going to need a raincoat, to wear on the boat I'm going to need if this rain keeps up! What a cute raincoat! Love it with the purple boots. Oh to see rain, I miss it so much!! We are in a serious draught in California so no rain gear needed here. 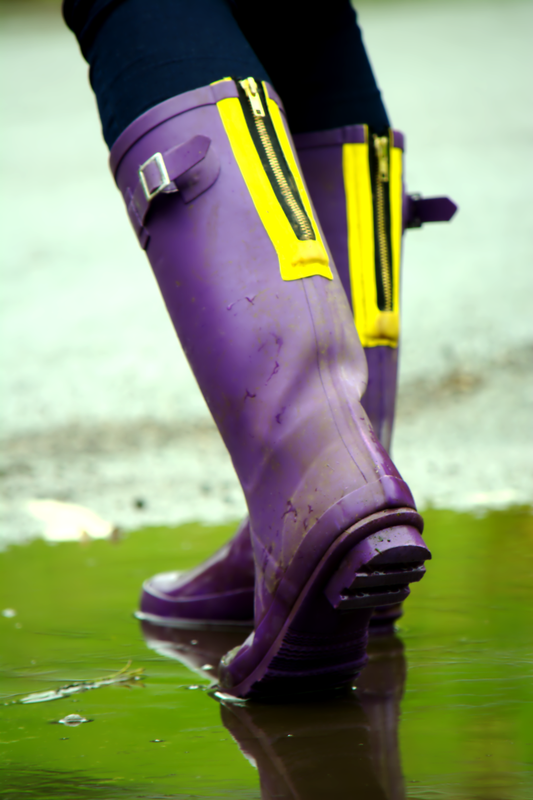 Love those purple rain boots! Such a cute raincoat and boots! Just in time! Hasn't this week been ridiculous with the amount of rain! Still it's sunny this afternoon and I'm stuck inside – typical! Hope you're having a relaxing time in Cornwall. I'm envious of you being there – I love that part of the world. 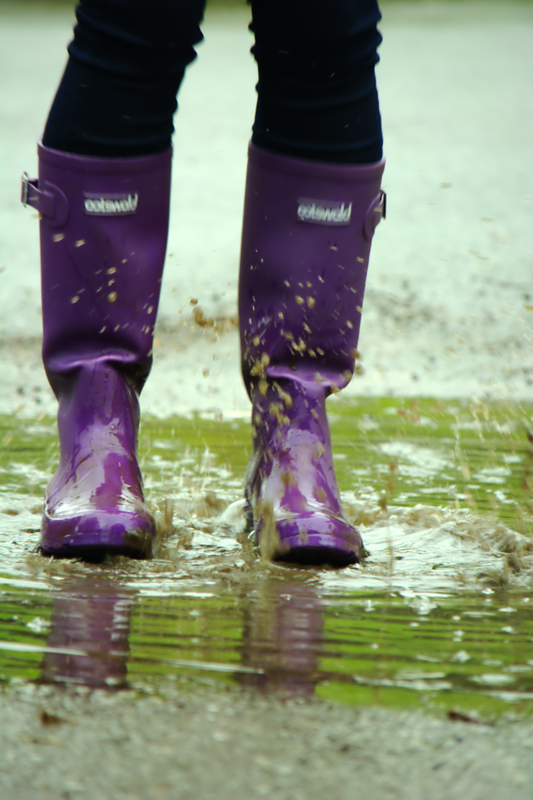 Love the purple wellies. I need to get a new pair and I'm going for coloured ones this time. I'm in Ireland & July & August have been pretty rotten so far (don't worry, the rest of the extended family are in the UK). Have to say I love the wellies – are they Hunters? I LOVE SEA SALT! Go to the little shop in St. Ives every time I'm in Cornwall. I love your pops of purple. The blouse you have on is a gorgeous color. A raincoat and boots are a necessary closet staple. Those rainboots are so fun! I love the purple/yellow combination! 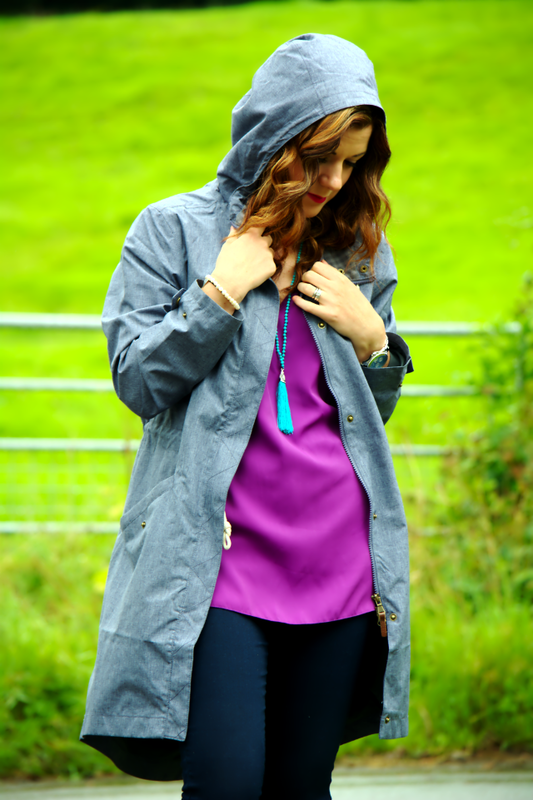 I LOVE Seasalt raincoats (and the rest of their range is pretty cool too) – you've got some lovely colours going on here Rachel! You've said it's a casual outfit but that necklace makes all the difference with that pretty pop of colour. That is the best raincoat. You look so darling. I love it! And your purple boots!! *freshly posted – 10 Op Shop Tips To Help You Shop Like A Pro and a Giveaway! You look so stylish in your outfit. If I won not sure I'd look as good…. but it would still be very welcome indeed! Oh darn how I wish I was a UK resident right now, what a lovely looking raincoat, and your styled it and had fun in it with perfection. Such a lovely post. You have a nice blog!